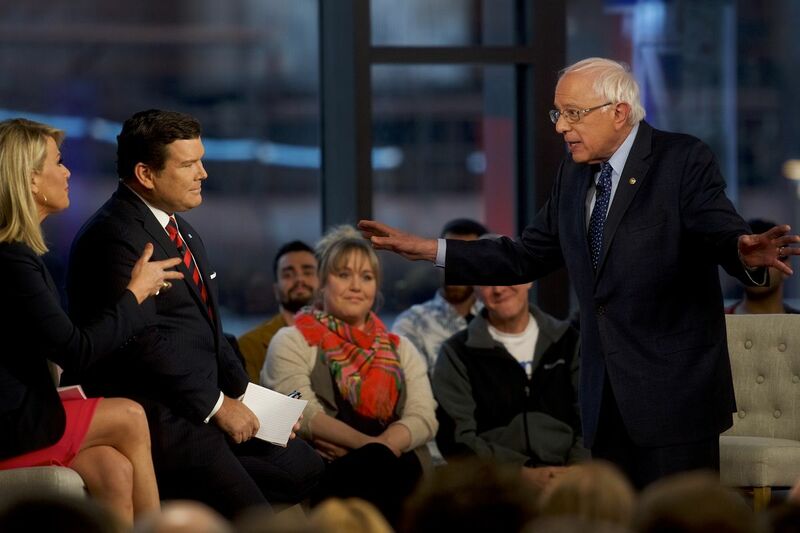 | All Boards | Current Events | Topic: Fox News Townhall - A Bernie Sanders Crowd to Fox News Dismay 0 Members and 1 Guest are viewing this topic. Unlike you I actually watched it! Sanders exposed himself for the fraud he truly is! Cubs (7) vs Marlins (2) game had precedent in my house tonight. Fox News web site has the video. "...I paid the taxes that I owe," Sanders shot back. "And by the way, why don't you get Donald Trump up here and ask him how much he pays in taxes? President Trump watches your network a little bit, right? Hey President Trump, my wife and I just released 10 years. Please do the same." The question was why didn't you pay more than you owed? He changed the subject with his silly response! Exactly, I'm glad that you see why it's important for the American public to see Fuhrer Trump's taxes. Why didn't Sanders pay more taxes than he owed? He claims the rich should pay more! He should lead by example and pay more! D2’s desperate Loy trying to change the subject. He lost to one of his own, cheated we are told! Why does the left like cheaters and losers so much? What ever candidate succeeds in making him/herself the biggest victim will win the Democrat party nomination! After all, the Democrat party is the party of professional victimhood! The snowflake president isn’t used to watching himself get attacked on his favorite channel. Sanders paid what he owes. What about Fuhrer Trump?